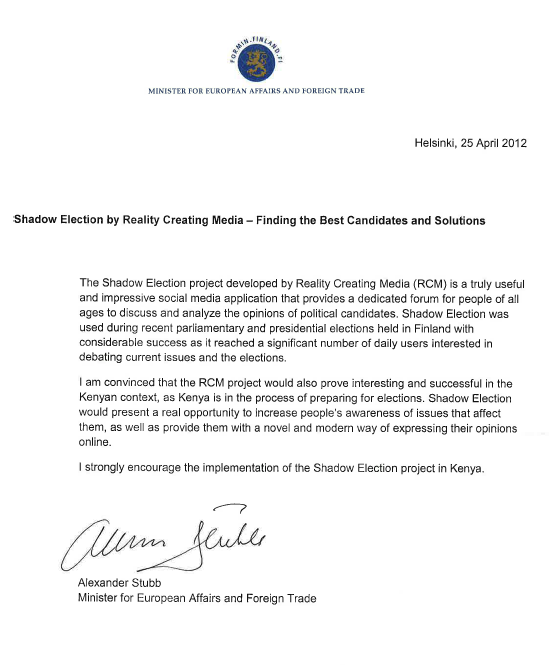 Do you think Shadow Election has the potential to improve global democracy? With just a small grant from the Finnish government, two angel investors (also team members), and a considerable amount of sweat, we have made a little go a very long way. Just think how far we could go with your help and advice.